Cybercrime is not new, but it seems it is getting worse as time goes on. As the rate of cyber attacks increases, so does the cost of damage control and security for businesses. 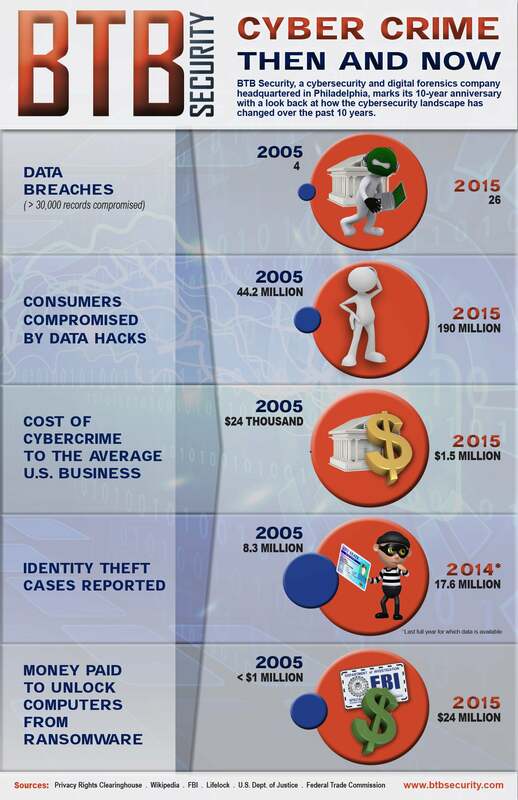 An infographic from security firm BTB Security shows how many more breaches and incidents of indentity theft there were in 2015 than in 2005. As a result, 190 million consumers were compromised last year, compared to only 44.2 million ten years earlier. Check out the infographic below to see how much these online attacks are costing businesses, then make sure you have a secure password.